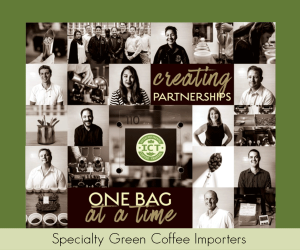 The California Environmental Protection Agency Office of Environmental Health Hazard Assessment (OEHHA) is holding a public hearing this week on proposed new language that would effectively exempt coffee from Proposition 65 labeling. The window for submission of public comment on the proposed exemption began on Friday, June 22, and concludes Thursday, Aug. 30, at 5 p.m. PST. Anyone can submit comments here. The public hearing will be held this Thursday, Aug. 16, in Sacramento (more details below) and anyone can submit comments orally or in writing. 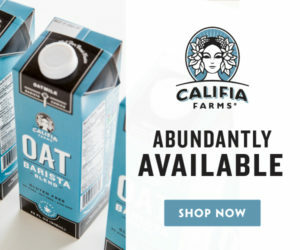 “Of course, there could still be legal challenges, but if the proposed rule is adopted, it would be a powerful and important step forward to bring California’s regulation into agreement with what science has shown about coffee,” National Coffee Association CEO and President William (Bill) Murray told Daily Coffee News via email. OEHHA is the agency tasked with overseeing and enforcing the legislation, often referred to as Prop 65, which since 1986 has required companies to provide consumers a warning if there are any known carcinogens in their products. 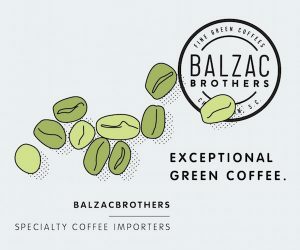 After reviewing more than 1,000 published studies, the IARC concluded that there was “inadequate evidence” that coffee causes cancer, and that coffee is in fact more commonly associated with a reduced risk of a variety of cancers. NOTE: Authority cited: Section 25249.12, Health and Safety Code. Reference: Sections 25249.6 and 25249.10, Health and Safety Code. Proposition 65, which received 63 percent of the popular vote more than two decades ago, includes a list of chemicals known to the state to cause cancer. The measure requires businesses that make, serve or sell products containing any amount of any chemical included on its list to post public warnings about the presence of cancer-causing chemicals. As that list and its enforcement have both expanded in the intervening decades, there are now so many products bearing Prop 65 warning labels in California that many consumers simply ignore them. 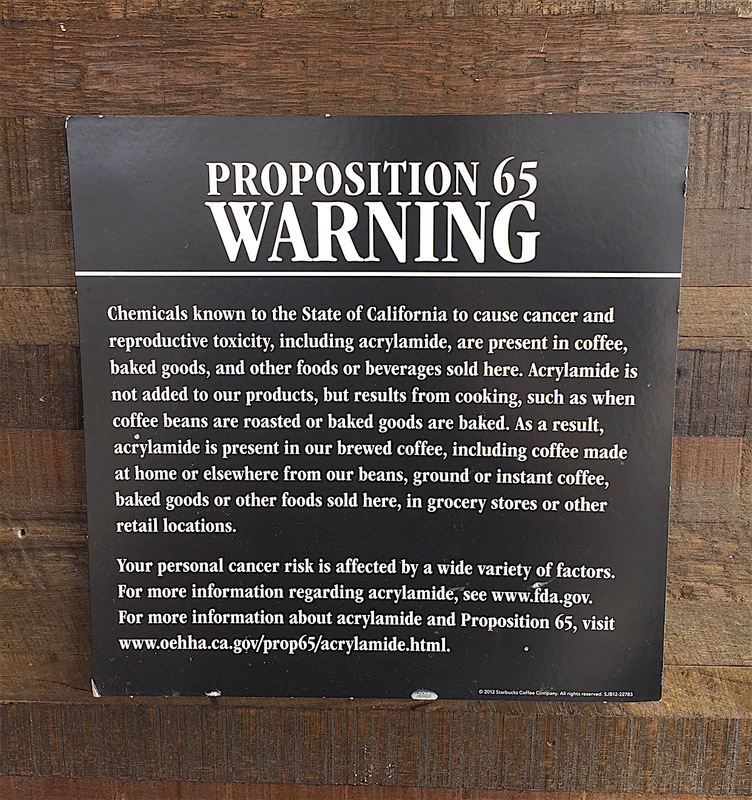 In 2010, a lawsuit filed by the nonprofit Council for Education and Research on Toxics (CERT) sought to require Starbucks, Gloria Jeans and dozens of other coffee-selling businesses to post Prop 65 labels due to the presence of the carcinogenic chemical acrylamide in roasted coffee. 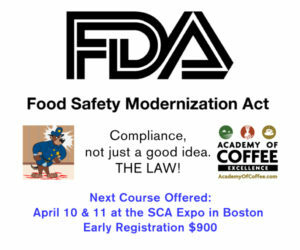 The coffee industry acknowledged that while acrylamide is a naturally occurring byproduct of the roasting process, both common sense and voluminous scientific research indicate that the health benefits of coffee far outweigh the risks. This week’s meeting will occur from 10 a.m. to 2 p.m. PST (or until business is concluded) in the Sierra Hearing Room of the California Environmental Protection Agency Building at 1001 I Street, 2nd Floor, Sacramento, California.